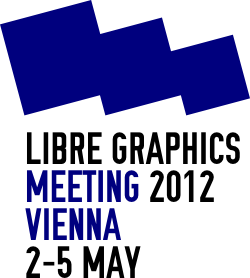 2-5 May 2012, Vienna: Libre Graphics Meeting is taking place. Is the 7th edition of the conference for people involved in Free graphics, you will find there software developers, designers, artists and users. Many great people already announced their presence and probably many other will come too. If you are into Free software and doing anything graphic related, this is the place to be at the start of next week. Personally I missed the last year edition, it happened far-away in Canada (alternating locations, so everybody can attend once in a while is a LGM tradition), but now I am looking forward to meet old friends, colleagues and make new aquitances. But I want to be actively involved, not only as a consumer, so I won't just watch the conference, but be part of the program, so I submitted, and it was accepted, a talk about Wiki Loves Monuments, the Wikipedia Free photography contest, which was the most important project I was involved in the past year - it will be a different thing, about usage and community work, in the middle of many software development talks. So long story short: come to LGM, it will be tons of fun.